Let’s be honest. Rumors about new or upcoming Apple products would be overpriced at a dime a dozen. Yet speculation grows about an Apple (Nasdaq:AAPL) iWatch. If you think that this is one of those little rumors that somebody dreamed up to make for interesting reading, think again. Some of the more notable Apple rumor mills are reporting its possible existence, and many reputable publishers such as AppleInsider and the New York Times have published iWatch stories. 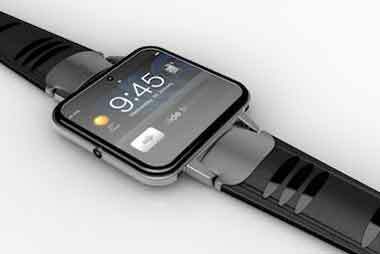 Computerworld notes that, according to the latest rumors, Apple and Intel are working on a Bluetooth smartwatch, which could be introduced sometime in the first half of 2013. Website 9to5Mac mentions Apple patents that may indicate its interest in the watch. One patent of note integrates features into an iPod Nano-like wristwatch. Other sources point to patents that could be a signal of things to come. Still others explain that the patents could be filed for any number of products or exist to fend off patent trolls. One has to wonder, however, why Apple would take on a project which seems, on the surface, small compared to the TV or cellphone industries.